Notwithstanding its many flaws and centuries of criticisms, capitalism is still the dominant economic system globally. What made it so resilient? Without denying the importance of entrenched interests among ruling classes, I believe the real strength of capitalism stems from the theory of value it has imposed on society. The theory can be summed up as follows: value is only created through market transactions, which are always positive for the economy. The rest – like social costs and ecological impacts – doesn’t matter. Classical sociologists and economists like Max Weber, Joseph Schumpeter and Werner Sombart saw the adoption of a specific form of accounting for measuring performance in industries – so-called double-entry bookkeeping – as a critical factor to explain the rise of capitalism before and after the industrial revolution. Since then, we have simply assumed that what is good for the firm must be good for society. As I show in my book Gross Domestic Problem, even socialist systems largely accepted capitalism’s accounting approach, ultimately failing to beat capitalism at its game. But the global debate is shifting. The Sustainable Development Goals recognise that real value is only created when economic development leads to improvements in social and environmental dynamics. I argue that, by changing our headline indicators of prosperity in line with this new thinking, we can show capitalism’s inefficiencies and contribute to its demise. Accounting is not a neutral exercise. As the term suggests, indicators “indicate” the path to follow to improve performance. In the end, governments, companies and societies at large strive to achieve what is counted, while disregarding what is not. Of all accounting tools, the most powerful is the gross domestic product (GDP), the headline indicator of economic performance. GDP fully endorses the capitalist theory of value: it views market transactions as the only drivers of development, as opposed to non-market exchanges; it considers as positive all forms of production and consumption, regardless of their impact on economic welfare; and it neglects social and environmental impacts. For as long as our approach to economic growth is determined by GDP, capitalism will continue having the upper hand. The good news is that, for the first time in almost a century of national income accounting, there is now a window of opportunity for change. A growing number of global institutions, including influential actors like the World Economic Forum are calling for a shift beyond GDP. When we apply any of these new indicators, which integrate social and environmental impacts into the concept of economic performance, the alleged efficiencies of capitalism disappear. For instance, the genuine progress indicator shows that the global economy has massively under performed since the early 1980s, at the same time as free market reforms were boosting GDP. The genuine progress indicator deducts costs of environmental damage and social ills from economic performance. Using a similar approach, UN-sponsored studies conclude that some of the world’s largest corporations actually generate more costs to society than profits. This is particularly true of fossil fuel and commercial food companies. The negative environmental effects of their operations are estimated to be in excess of USD$7 trillion a year. The Organisation for Economic Cooperation and Development, the club of the world’s richest countries, has developed a “better life index”. It underlines how prosperity is determined more by factors like community engagement, work life balance, health and the environment than by income. The organisation estimates that value generated for the economy by families and communities through self-production and informal exchanges – notoriously neglected by GDP – is equivalent to over 50% of everything the market produces. And what about the non-monetary activities performed by civil society? According to the World Bank, associations have a massive impact on the economy by building the interpersonal trust – a precondition for a functioning market. In money equivalent, their contribution would be over 20% of the value of all goods and services produced by businesses. These are the real ‘invisible hands’ supporting the economy. By portraying corporations as the sole creators of value and by hiding their social and environmental costs, GDP has further entrenched the capitalist grip on power. But as we move beyond GDP, we begin to realise that the emperor has no clothes. A new accounting approach linking economic, social and environmental dynamics – what I call ‘wellbeing accounting’ – can indeed have game-changing effects. Take fossil fuels. After the recent hurricanes in the US, several experts rightly argued that oil companies should be taken to court and charged with covering the costs of damage. New accounting would make such an approach automatic. The losses produced by polluting companies would count as ‘negative’ for the country’s growth. This, in turn, would force policy makers to push renewable energies if they want to improve their economic performance. The alleged virtues of globalisation rest almost entirely on GDP’s blindness to global trade’s environmental and social impact. But new accounting methods do the opposite: they reveal global trade’s negative effects and highlight the more efficient value creation of local and regional exchanges. Our perception of global leadership would change too. The US and China may look “big” in GDP terms, but the real champions of social progress are some middle powers. These include Costa Rica to New Zealand which have built strong economies while improving the quality of social and natural dynamics. Moving away from GDP would also benefit developing nations, especially in Africa. It would put an end to the traditional capitalist approach that equates prosperity with exploitation of people and nature, This in turn would allow countries to experiment with new forms of development. GDP accounting is what keeps capitalism on life support. 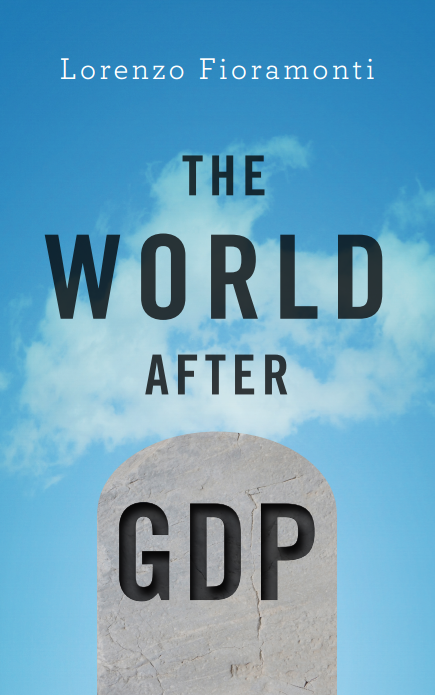 As I discuss in two recent books The World After GDP and Wellbeing Economy, a shift to new forms of accounting would eliminate the statistical foundations on which capitalism’s credibility rests. In the end, this is precisely what Adam Smith did with the founding book of capitalism,The Wealth of Nations He questioned the traditional approach to value creation. Smith argued that the real creators of wealth were not the kings and knights that dominated the political scene, but the captains of industry who steered the new industrial market. By shifting the accounting approach, he reinforced the demand for power that would soon lead to the modern revolutions and the dominance of capitalism. 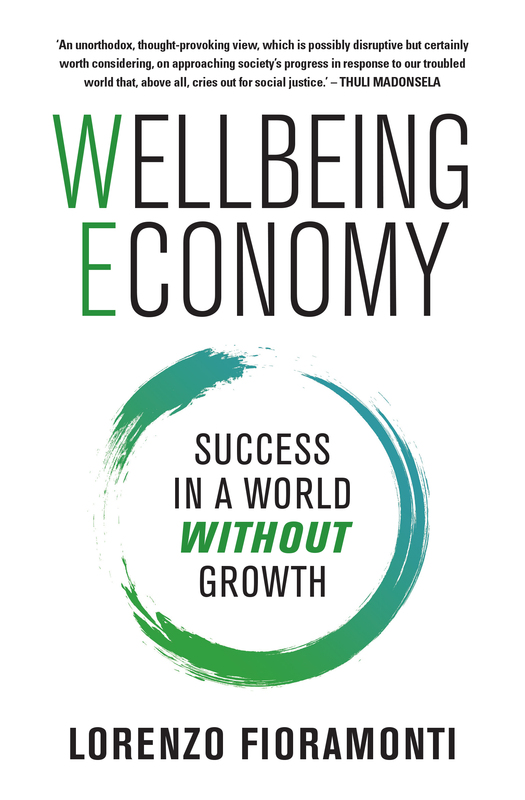 Similarly, well-being accounting shows that an economy promoting the public good and the commons can generate more wealth than the capitalist market. Through new numbers, it aims to embolden all those actors marginalised by the capitalist theory of value. Above all, it equips them with new tools to demand more power and a radically different approach to growth and development. It’s a smart way to beat capitalism by stealth, once and for all.